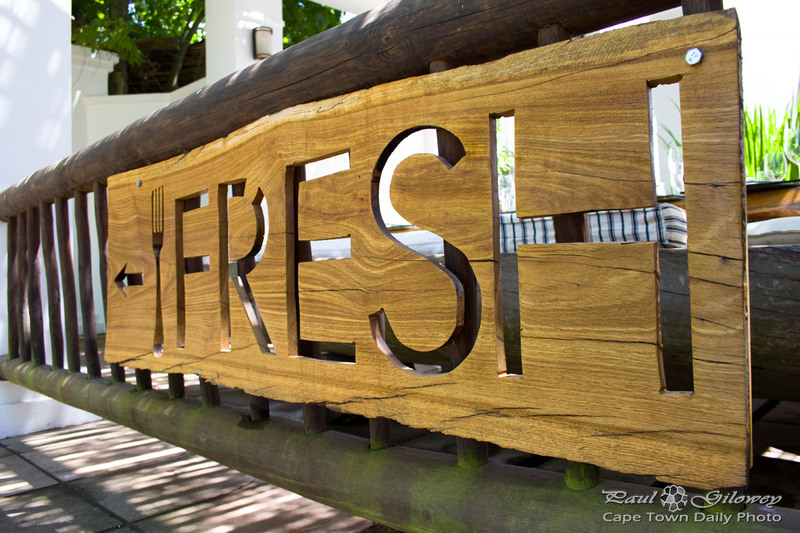 If you'd like a treat, prepared with love and care, visit Fresh restaurant on the Paul Cluver estate. We took friends visiting from the UK on an outing over Sir Lowry's pass to the little district of Elgin. Fresh, our decided lunch-stop, certainly didn't disappoint. The food, the staff, the atmosphere and our table on the lawn beneath the trees was perfect. Just perfect. Posted in General and tagged elgin, restaurants on Tuesday, 3 March, 2015 by Paul.